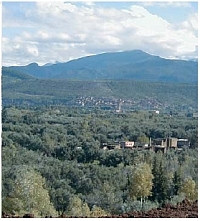 The 2nd FIG Regional Conference “Urban-Rural Interrelationship for Sustainable Environment”, held in Marrakech, Morocco, 2–5 December 2003, was organized by the Ordre National des Ingénieurs Géomètres-Topographes (ONIGT) and the International Federation of Surveyors (FIG). The conference was co-sponsored and supported by the Arab Union of Surveyors (AUS) and the Arab Urban Development Institute (AUDI) and several United Nations agencies, the Food and Agriculture Organization of the United Nations (FAO), United Nations Centre for Human Settlements (UN-HABITAT), United Nations Environmental Programme (UNEP) and United Nations Economic Commission for Africa (UNECA). The aim of the conference was to shed some light on selected issues of urban-rural interrelations and to raise awareness of this complex topic. It also tried to explain the close linkage of land policy and land administration. Currently the urban-rural interaction agenda is broad and covers a number of concerns. The interaction consists of the exchange of goods and services, people, information, and money that can be provided by adequate infrastructure, such as transportation, communication, energy and basic services. Infrastructure is the backbone of the urban-rural development. However, its provision often involves a trade-off of land and natural resources: roads, trails and power lines have negative impacts especially to rural areas by cutting the landscape. Provision of this crucial infrastructure needs to balance the interests of both rural and urban communities. This will ensure their common future. Due to the different functionality of land for the human being, different land policies and land administration can be observed between urban and rural areas in many countries. However, while sustainable land development for both areas is a complex mix of political, legal, socio-economic and ecological aspects, the well-being of human habitation in rural and urban space can be achieved only by a common land policy and the adoption of a comprehensive land policy to support sustainable land management. Many international governmental and non-governmental organizations have accentuated the need for both a common land policy for rural and urban areas and a holistic thematic approach to enable the sustainable development of land and to ensure human well-being. As with previous publications of the International Federation of Surveyors (FIG) – some published together with partners like the United Nations – this publication is stressing a specific topic of global interest and importance. FIG as a Non Government Organisation (NGO) wants to contribute to the United Nation’s millennium goals of building a more sustainable, just and peaceful world. The Marrakech Declaration reflects the findings and recommendations of the 2nd FIG Regional Conference held in Marrakech, Morocco in December 2003. It is intended to support politicians, senior managers, professional organizations and decision makers in their efforts to enable a balanced coexistence of a sustainable nature and a liveable habitat. Even though the guidance and lessons learnt are tailored to the situation of urban-rural interrelations in African and the Arabic countries, they can be adapted to the specific requirements of urban-rural spaces all over the world including Europe where there is currently an intensive discussion taking place around this unsolved topic. Reinfried Mansberger University of Natural Resources and Applied Life Sciences Vienna, Austria. at this conference have been of great benefi t to this declaration. These especially included papers from Dr. Chukwudozie Ezigbalike (UNECA), Prof. Paul van der Molen, Chair of FIG Commission 7 (Cadastre and Land Management), David Palmer (FAO), Prof. Stig Enemark (Denmark), Abebe Solomon Haile (Ethiopia) and Yaacoub Saade (Lebanon). It should be noted that throughout this publication, the two-word key term, urban-rural, used to designate our spatial context has been created deliberately to follow no specific pattern in terms of word order. This is considered important in order to do away with the mind-set that gives, in writing or speaking, precedence to either of them. The launch of the Marrakech Declaration is to take place at two important events: the 2nd World Urban Forum in Barcelona, 13–17 September, 2004 and the Inter-regional Conference on Strategies for Enhancing Rural-urban Linkages Approach to Development and Promotion of Local Economic Development in Nairobi, 1–4 October 2004. On behalf of the FIG I would like to thank the members of the expert group and all the specialists who have contributed to this publication for their constructive and helpful work. The objectives of the 2nd FIG Regional Conference “Urban-Rural Interrelationship for Sustainable Environment”, held in Marrakech, Morocco, 2–5 December 2003, were divided into a number of themes covering the most significant aspects of the Urban-Rural Interrelationship to enable FIG to make a realistic and pragmatic input into an agenda that is increasingly being recognised at the international level. The conference recognised that the issues associated with the Urban-Rural Interrelationship manifest themselves differently in different regions around the world and that it is necessary to have guidance in the form of general principles that can be adapted to specific circumstances. The key issues focused upon in this declaration are: The urban-rural linkages; including urban sprawl and urban migration. UN- HABITAT estimates that 60% of the world’s population will be living in urban areas by 2015. The Marrakech Declaration recommends that comprehensive national land policies need to be developed and implemented if the issues are to be addressed in a co-ordinated and timely manner. These policies need to be built upon sound professional experience. It is against the background of these developments and discussions that UN-HABITAT and UNEP call for an end to the urban-rural dichotomy. There is a need to promote urban-rural linkages and in this context the dynamic nature of these issues means that the past is not necessarily a good guide to the future and it is essential to engage in new and innovative solutions if these issues are to be addressed in time. This document concentrates on three key interrelated and overlapping sub issues of: Institutional and Governance Concepts; Land and Natural Resource Infrastructures; and Capacity Assessment and Development. Each section provides guidance; lessons learnt, and sets out a way forward for each issue. The Marrakech Declaration recognises that these issues can not be solved in isolation and this document is intended to contribute to the holistic vision required to bring about improvements in the urban-rural interrelationship. Countries are encouraged to take appropriate action in accordance with the Marrakech Declaration on Urban-Rural Interrelationships. The International Federation of Surveyors (FIG) and its partners at the Marrakech Conference recognises the urban-rural divide in different areas of the world and believes that a commitment to address this issue is essential for acceptable human living conditions throughout the world. Institutional and governmental actions required for providing good governance. Land administration infrastructures for steering and control of land tenure, land value and land use in support of sustainable land management. Tools for capacity assessment and development at societal, organisational and individual level. FIG and its partners at the Marrakech Conference understand that good urban-rural interrelationships for sustainable development are a central aspect of sustaining good governance world-wide. It is against this background that non-governmental organizations such as FIG contribute at the global, regional, national and local level to improve the economic, social and environmental balance required as a basis for human well being. is that no instruction book came with it. Indications are that the movement from rural to urban life is set to continue and escalate in the coming decades. There has been a tendency in the past to maintain a strict segregation between projects in the urban and rural environments. This is an understandable differentiation, though one of the consequences of this segregation is that large areas of land are in transition from rural to urban as populations migrate towards urban developments to satisfy the need for employment and potential improvement in quality of life. It is now widely recognized that there exists an economic, social and environmental interdependence between urban and rural areas and a need for a balanced and mutually supportive approach to the development of the two areas. The discrete consideration of rural development as completely distinct from urban development is no longer valid and is replaced by the urban-rural linkage development approach Urban-rural linkage generally refers to the growing flow of capital (public and private), people (migration and commuting) and goods (trade) between urban and rural areas. It is important to add to these activities the flow of ideas, the flow of information and the flow of diffusion of innovation. The linkage is not only in a topological sense of neighbourhood. A multidimensional, interdisciplinary approach is required for improving the development. Only a sustainable use of natural resources with a thematic linkage of economic, social and environmental urban-rural interrelation can provide the basis for human well-being. Adequate infrastructure, such as transportation, communication, energy and basic services, is the backbone of the urban-rural development linkage approach. Adequate investment in infrastructure, particularly transportation infrastructure, improves rural productivity and allows access to markets, jobs and public service by both men and women. Mega cities and villages represent only the very extreme ends of a continuum. Neglecting the potential of improving the living conditions in small towns would ignore the majority of human living space of the future. It is important therefore that governments at both national and local (municipal) levels recognize the impact of their development actions on urban and rural areas and the positive role policies can play in poverty alleviation. There is a need to gain better under standing of the relationship between rural and urban areas and the variety that exists in the nature of these linkages. In the ideal situation human cooperation within a cultural agglomeration develops Good Governance and Good Land Policy, leading to sustainable urban-rural living conditions – a simplified view of this interrelationship is shown in Figure 1. 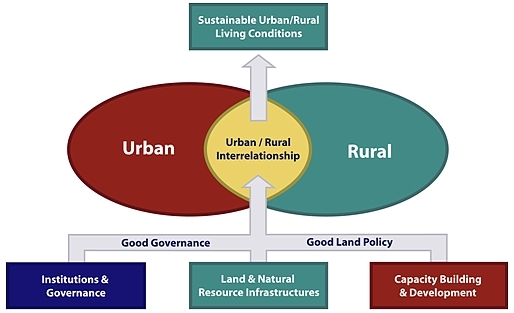 Figure 1: A simplified view of the urban-rural interrelationship. or we know where we find information upon it. The urban-rural linkages. The relevant issues here refer to the difference in needs for urban versus rural areas, and the demand for a balanced political approach in serving these needs in terms of building sustainable urban and rural infrastructures. Urban sprawl and rural migration. The relevant issues here refer to the problems within the urban fringe, and the demand for a comprehensive land policy to deal with these problems in terms of building sustainable land tenure and land-use control systems. These issues manifest themselves differently in different regions of the world; this is especially evident looking at the developed world versus developing countries and countries in transition. The question of how to ensure that all countries are targeted equally is complex and the response will vary according to the level of maturity and to the quality and quantity of skilled people in the country. Recommendations to address the key issues related to the urban-rural divide can, therefore, be presented only as principles. 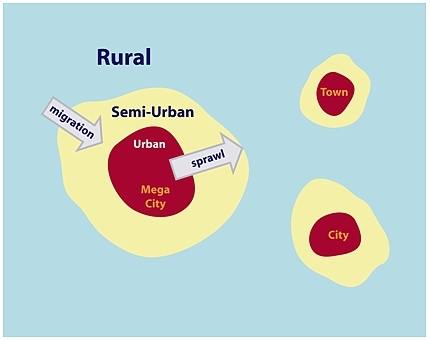 The migration from the rural to urban and the resulting sprawl in the semi-urban environment impacts towns, cities and mega cities. The concept of movement from the rural environment to the urban is conceptualised in Figure 2.
standards and conditions of living. This must be achieved in ways that are acceptable to them and their way of life. 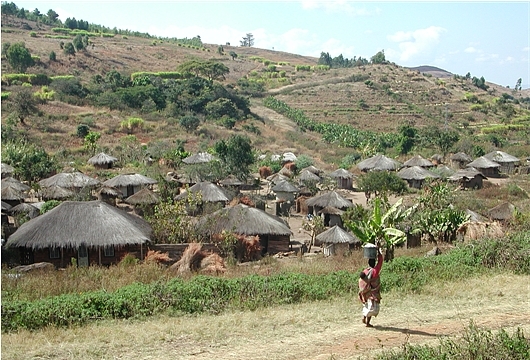 Figure 3: Rural village, Malawi, 2002. Rural development should not be based on policies that deter rural-to-urban migration but rather on the need to improve economic and social conditions of rural population and the need for the rural areas to effectively contribute to the national economic growth through increased agricultural and non-agricultural productivity. An improved rural infrastructure is a necessary condition for improving productivity in rural areas as well as for enhancing access of agricultural produce to both urban areas and the export market. This brings to the fore the urgent need for developing countries to design and implement realistic urban-rural and spatial infrastructure policies within the context of a set of coherent national human settlements policies. In many developing countries, addressing urban-rural infrastructure gaps requires therefore more, rather than less, government action as stated by Don Okpala at the Marrakech Conference. The old orthodoxy of a discrete and dichotomous approach to urban development as distinct from rural development no longer accords with reality, considering the complementary functions and flows of people, capital, goods and services, employment, information and technology between the two areas. Rural and urban areas are economically, socially and environmentally interdependent. There is no longer any alternative to a decisive urban-rural policy. Rural representatives and rural areas see and need the towns as “centres or engines of economic growth”. Cities for their part should see and need rural areas as indispensable and independent living spaces. Both should practice equal partnership. Wherever, often for political reasons, one-sided development has been encouraged or permitted, equilibrium has been lost as stated by Prof. Magel in Marrakech in 2003. By the words of the Secretary General of the UN ECOSOC Session 2003 in Geneva: it is necessary, “after a period of neglect to bring back rural development to the centre of the development agenda, noting that the world’s rural areas are where the needs are greatest and the suffering most acute.” This message is particularly important for Africa, because this is where for a long time to come the majority of the population will live in rural areas. Urbanisation of rural areas is often also understood to mean the adoption of city ways of living and increasingly of city ways of thinking. The OECD agenda, instead, promotes the concept of a city region or even of the composite city which covers both urban and rural areas and which seeks to achieve a common regional or even national competitiveness by inter-communal cooperation. Against the background of these developments and discussions it is not surprising that UN-HABITAT and UNEP call for an end to the urban-rural dichotomy. There is instead a need to promote urban-rural linkages. 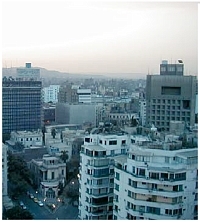 The industrial development and the rise of capital during the last century have led to the development of large cities. In developing countries this urban growth is even higher due to higher birth rates. 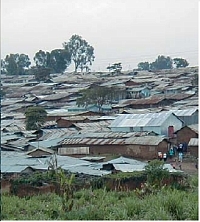 The lack of basic services in rural areas has drawn rural populations to cities, a migration that has a negative effect upon rural and agricultural community, and at the same time deteriorated the urban environment and reduced the quality of life as the infrastructure is insufficient to support such large populations (leading to what can be called “rurbanisation”). The urban-rural interrelationships have not always been all positive or beneficial to both ends of the spectrum. Cities and their metropolitan extensions absorb productive agricultural land, exploit water resources, pollute the rural environment and act as sinks for urban waste. On the other hand, cities rarely expand and build up efficiently. There often remain extensive rural areas within cities and their metropolitan boundaries, giving rise to the phenomenon of urban villages with a prevalence of urban farming. According to UN-HABITAT estimates, 60% of the world’s population will be living in urban areas by 2015. It is further estimated that 90% of the population increase between now and 2015 will be in urban areas. Most of that increase will be in the inner-city slums and squatter settlements of developing countries. 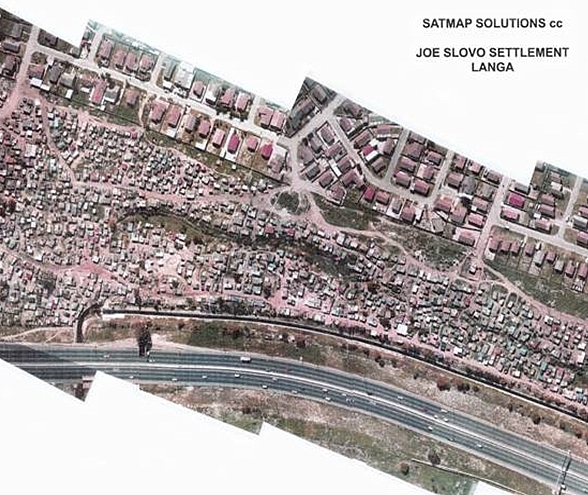 Figure 4: Informal settlement, Cape Town, South Africa, 2001. In all countries, urban centres or central places should wherever possible be promoted, developed and opened up in rural areas; and activity referred to as ‘decentralised concentration’. This makes for greater stability and corresponds better to natural ecological principles. One-sided megacentres, those focusing primarily on the urban populations requirements, are mostly the result of a lack of such stable network structures in rural areas. They are more and more becoming places of widening divisions between fenced-off islands of the “have” people and the growing slums of the “have not” people. In these circumstances no one should be surprised at increasing criminality. Urban centres and rural communities should speak openly and without preconceived ideas about how they can support, supplement, relieve or strengthen each other, e.g. in the context of transport and environmental problems, in controlling the using up of open spaces, in promoting renewable energy, in joint economic and tax policies to attract the necessary investors and capital. The OECD has clear ideas on this: “Increasing the competitiveness of regions involves improvements in both urban and rural areas”. It is thus a matter of having a joint location policy. It is a matter of working together instead of working against each other, as has for so long been the practice. And it is a matter of developing a balanced and polycentred urban system and of a new relationship between town and country as described by Prof. Magel in 2003. With a view to rapid growing mega cities and agglomerations a regional settlement structure has to be designed which combines density, mixing of different land uses, polycentrality and capacity of public mass transport systems and public facilities. These are the prerequisites for achieving the ecological, social and economic targets of sustainability. The priority must be to slow down the urban growth. In order to do this the living conditions and the economic basis in the rural areas must be strengthened, to prompt the inhabitants to stay there. Therefore it is a vital necessity to promote new forms of cooperation between cities themselves and between the cities, towns and the villages at the regional level. Land policy is concerned with using and conserving land so as to meet social and economic objectives. It works by establishing tangible private and public objectives, for example by promoting equal access to property for all people while respecting the sensitivity of local needs and requirements. It is concerned with the allocation of resources, particularly rights to use the land, so as to obtain maximum efficiency consistent with the natural environment and the welfare of the community, both in the short and longer term. Land policy consists of a whole complexity of socio-economic and legal prescriptions that dictate how the land is to be used and how the benefits from the land are to be shared. It should provide a balanced and integrated framework within which the needs of both urban and rural societies can be met, addressing both the land and land-related resources such as water, forests and soils. A balance must be struck between the exploitation, utilization and conservation of the land as a resource in a way that will meet the needs of the present without compromising the ability of future generations to meet their own needs. The primary objective of land policy is sustainable development. Land administration provides the context for determining, recording, and disseminating information about ownership, value and use of land when implementing land management policies as described in the UN-ECE Land Administration Guidelines. The existence of an adequate legal framework for land planning and land use rights will enhance the ability and capacity of the land administration system to serve societal needs from both the government and the citizen perspective. valuation, by gathering revenues through valuation and taxation, and conflict resolution. Land registration and cadastre should be seen as part of the operational level of Land Administration, which provides systems and processes to facilitate the application of land related rules and regulations. Control of land use is mainly provided through preparation and adoption of zoning plans and connected land-use regulations to be enforced by central and local government. Planning, development and control are, in this way, interrelated components of land use control. Decentralisation of land-use planning and decision making immediately raises the question of suitable local institutions and organisations for managing these tasks. Such local institutions and organisations must be able to handle conflicts in a very concrete and direct sense. In the context of sustainability, the conflict between immediate gains and needs on one hand, and the concern of future generations on the other, is of course crucial. This relates to the core content of the term “sustainable development” defined as “development which meets the needs of the present without compromising the ability of future generations to meet their own needs” by the World Commission on Sustainable Development (1987). Access to land and access to housing are now recognized as being central to social cohesion and a key factor for sustainable development. There is no longer any alternative to the introduction and use of a decisive urban-rural land policy. In order to re-build and develop an equilibrium in urban-rural interrelationships we need poverty reduction in rural and urban areas, basic infrastructure and secure tenure in rural and urban areas, village renewal programmes and urban renaissance, sustainable land use and resource management in rural and urban areas. In the Potsdam Declaration Rural 21, (2000) it is stated that appropriate framework conditions must be created and secured so that rural areas can develop as multifaceted areas for living as well as for economic and cultural activities. In order to secure the sustainable development of living conditions, answers to the manifold social, economic and ecological challenges must be found. The key to a viable and sustainable development of rural areas lies in the development of specific prospects, the development of endogenous potentials and the exchange of experience with other regions. Development strategies must adequately reflect the diversity of starting conditions as well as the opportunities and bottlenecks for development. It must be possible for regional and local actors to respond to their problems with as much flexibility as possible. Ensuring good governance and participation. The national governments should give the urban land development a high priority. In Europe there is a very well defined balanced between urban and rural (land) development achieved through the introduction of successful programmes for rural and urban areas. any other reason but because they are not already common. Good governance provides the opportunity with which a population and those in a position of leadership can maintain transparency, accountability and responsiveness for the management of major, social, economic and environmental issues. The ultimate aim of good governance in this case is to provide effective leadership to support the development of sustainable human settlements in the face of the projected migration and subsequent merging of the urban and rural environments. Governance needs to establish clearly identifiable focal points in addition to well defined areas of responsibility to ensure public and commercial confidence in decision making. The successful and coordinated governance of the urban-rural interrelationship is one of the critical challenges facing the world in the 21st century. Governance of these multi faceted issues and the associated data is critical for successful delivery. Key amongst these challenges is the fact that the professional skills required to provide appropriate governance do not lie in one profession alone and there is a need to bring together professionals from a variety of disciplines. There is clear evidence that appropriate and efficient institutional structures and governance concepts used in support of key principles are an essential part of the innovations required to successfully master the future (Magel, Athens, 2004). Good governance of the urban-rural interrelationship involves the interaction of complex political, social, economic, environmental issues, planning controls, land availability and an efficient land market. Integrated policies across the urban-rural divide are essential if the pressure on land and social facilities are to be adequately addressed. The pressures associated with rapid development mean that anti corruption measures must be put in place to provide public trust and confidence in all matters associated with planning and fiscal policy. In creating these policies due diligence should be taken to ensure equality of opportunity for gender and minority groups is established. Recognition of the immediate need to develop a sustainable interrelationship between urban and rural environments brings with it the need to assemble, utilise and coordinate knowledge from a number of professional disciplines. Effective means of providing open access to all information relating to policies and decisions on the urban-rural interrelationship will contribute towards increased trust in high level political, economic and social decision making. It is important to create a structure of governance that can be readily adapted over time. The development of the urban-rural interrelationship is such that the nature of the interrelationship will change over time and governance that is appropriate at the start may not be suitable as the interrelationship matures and new demands and challenges materialise. The past is not necessarily a good guide to the future. This is one of the most significant challenges facing the governance of the urban-rural interrelationship. Analysis of past experiences however, should enable the professional community to learn lessons and design appropriate structures of governance to accommodate the needs of the future. One criterion that must be met is that the governance structure must be created to provide the flexibility for downstream modification as the requirements change to meet the needs of the urban-rural interrelationship. There is a need to establish a single point of focus and responsibility for the governance of urban and rural environments at the corporate level to coordinate, regulate and monitor, together with establishing appropriate levels of vertical and horizontal co-operation. Create an authority with responsibility at the highest level. Urban-rural interrelationships are complex and without a single focal point responsibility will be dissipated and ineffectual. Ensure that technical solutions do not dominate good governance. There is a tendency to allow the technical issues to dominate complex project relationships. The end focal point in the delivery of urban-rural interrelationship projects must always be paramount. Maintain a holistic approach to urban-rural interrelationships that includes a balance between top-down and bottom-up approaches. The multi-disciplinary nature of the urban-rural interrelationship requires constant review to ensure that all groups have been included in the governance. Establish external audit and review procedures. There is a risk that the urban-rural interrelationship will become introspective and in order to maintain objectivity a process of regular audit and review should be instigated at the earliest stage. Maintain vertical and horizontal working practices. The complexity of the urban-rural interrelationship means that mainly vertical communications will lead to horizontal communication failures and vice versa. Processes must be initiated to ensure both good vertical and horizontal communications and working relationships. Create multi-disciplinary projects, working groups, task forces with responsibility for specific short term activities which disband once a project has been completed. There is a risk that maintaining these groups beyond their usefulness reduces the effectiveness of good governance. Create regulations and associated monitoring and enforcement activities. Establish an interdisciplinary governance structure at the corporate level with clearly defined roles and lines of responsibility. This should include: custodians of land information; municipality departments (e.g. urban and rural planners, transportation specialists, and engineers); inward investors in both the urban and rural environments; community users; and Information Technology /Information System specialists. Provide facilities and responsibility to address anti-corruption policies at all levels. Provide facilities and responsibility for equality of gender and minority groups. Providing facilities to enable the creation and maintenance of effective land markets, and the associated access to appropriate credit and financial systems. Establish appropriate standards for communications: data standards, formats, and exchange protocols. Establish a meta-database with access to all groups (keep as simple as possible). Establish and maintain a technical issues register. Establish administrative group responsible to a single authority. Establish wide publicity network and keep under constant review. Where appropriate establish web site and maintenance facilities. Establish business processes to support the exchange and distribution of information. Establish horizontal and vertical groups to maintain effective communications. Establish and maintain an issues register. favours only the prepared mind. The land has always been recognized as a primary source of power and wealth. This fact stems from its capacity to draw and attract investment and to be an asset from which different natural resources are harvested. In developing countries, higher birth rates, lower agricultural productivity and lack of basic services are factors that contributed to massive rural migration and extensive urbanization. Uncontrolled human activities have put enormous pressure on natural resources deteriorating the quality of life for those with limited wealth. Statistics from UNEP (1999) are alarming in this respect: “by 2025, two-thirds of the world’s population will live in water-stressed conditions – with irrigated agriculture accounting for 70–75% of fresh water use. Human-induced degradation of the soil has already affected 20% of the world’s dry lands and puts the livelihoods of one billion people at risk. More than half of the world’s population lives within 60 km of the shoreline. One-third of those coastlines are already damaged by population stress and infrastructure”. As developing countries are facing continuing land shortages and resource scarcity, the imperative challenge is to design and implement an adequate infrastructure coherent in all its aspects, physical, institutional, legal and technical, that are able to meet and support actions to attain the goals of sustainable development. There is also a need to better manage and plan land use and to design simple and efficient institutional and legal frames that may stimulate land markets and promote land transfers in part to respond to the changing societal needs and to the implementation of adequate human settlement policies. Systems advocated for the management and administration of land should be able to respond and expand to meet the challenges of everyone’s needs without compromising the non-renewable resources. As the tensions between human behaviour and their negative impacts on natural resources are worsening, national and international communities have to commit themselves to the global plans of actions arising from different summits, declarations and UN and other organizations initiatives. To forge such political commitments that will help ensure the success of advocated actions, a dialogue among key actors and professionals from a variety of disciplines is necessary. Lack of basic services and inadequate infrastructure in rural areas, and for the rural population, cities constitute a symbol of wealth and well-being. Inequitable access to land for indigenous peoples and minority groups, including the provision of and access to appropriate credit facilities. Degradation of soils induced by uncontrolled human activities and frequent drought periods, which put the livelihoods of rural population at risk in some countries where water became a scarce resource. The failure of governments to develop holistic approaches and equitable national land policies and integrated practices has put much pressure on land resources. Resources are becoming more and more scarce and fragile, this will be a primary cause of poverty thus compromising the survival of future generations as clearly emphasised by all UNEP statistics and reports. Government actions on land administration should evolve beyond the traditional sectorial approaches and to a better understanding of the urban-rural interrelationships and the intimate relationships between land, infrastructure and resources. Advocated actions should take into account the differing needs and desire of the population. Experience shows that only a combination of regulatory and voluntary approaches can encourage sustainable development and commit people to its success. For integrated approaches, there is a need to strengthen the information base through the setting up of spatial data infrastructures to support decision-making and to implement uniform and standardized methodologies and indicators to assess the results achieved. Ensure that sufficient information is available on natural resources. This is difficult to obtain in most developing countries, due to the lack of a database infrastructure and a number of other factors. In most countries, “information is power” and most professional groups try to protect their own short term interests by retaining information. This remains a primary barrier to the development of integrated actions. Decision makers are not using appropriate information tools to help them identify areas subject to development actions and where investments in infrastructure and services could have the greatest impact. Establish integrated approaches. Projects and actions operated by local groups sometimes deviate from their initial goals for administrative and elective purposes without long-term targets being re-established or prioritised. Empower local communities. When designing and implementing policies, citizen-based participatory planning and design is an efficient way to ensure the population becomes part of the process. Establish transparency of decision making, information and good governance. Corruption encourages illicit practices that bypass advocated policies and regulations. Establish alternative revenue generation mechanisms to reduce the risk of longer term problems, for example: cutting down of forests to generate revenue has led to shortages of fuel wood and building materials. To alleviate the pressure on forests, it is necessary to find alternative revenue generation mechanisms and alternative energy sources for rural populations. Establish land evaluation practices. Due to the urbanisation rhythm and lack of adequate regulations and land evaluation, urban tissues are expanding into good agricultural areas. Good land evaluation practices would act to reduce the development of agricultural areas. Establish appropriate and viable land markets, together with supporting financial systems and legislation. Having a formal structure in place is necessary but not sufficient to trigger greater wealth, for land markets to work there must be political empowerment. Establish a forum for the discussion and subsequent enhancement of land management practices. Having identified and well documented practices provides one basis for the propagation of good practice at a number of levels. Establish standardized methodologies and processes to collect the information, and promote better channels for its dissemination to ease its access by decision makers. Bring professionals from different disciplines together to agree on common quantifiable and measurable indicators to assess the performance of the system. Prior to any action, launch consultations in order to initiate and promote a more informed dialogue among key actors so as to forge global commitment that will help ensure the incorporation and co-operation of all concerned parties as part of the plan to be adopted. Information is a central component regarding the process and implementation of environmental decisions. The key factor is to explain to the concerned population why a particular policy is being planned and what the benefits are, before discussing the means by which it can be achieved. Promote multi-disciplinary approaches of land management and define clear objectives and tools to assess the results. Clearly identify the types and sources of conflicts surrounding the management of natural resources. Define and monitor indicators for land development (rural areas, urban areas, areas of transition urban-rural). Introduce effective land markets and appropriate access to credit. for every man is convinced that he is well supplied with it. Good governance, comprehensive land policies, and sound land administration and land management institutions are essential components for addressing the problems related to the urban-rural divide. Both an efficient land market and an effective means of land-use control must be developed as the basic tools for achieving a sustainable approach. However, in many countries, and especially developing countries and countries in transition, the national capacity to manage the urban-rural interrelations is not fully developed in terms of mature institutions and the necessary human resources and skills. In this regard, the capacity building concept offers some guidance for analysing and assessing the capacity needs and for identifying an adequate response to these needs at social, organisational and individual levels. Capacity Building – what is it? The term capacity building is relatively new, emerging in the 1980s. It has many different meanings and interpretations depending upon who uses it and in what context. It is generally accepted that capacity building as a concept is closely related to education, training and human resource development (HRD). However, this conventional understanding has changed over recent years towards a broader and more holistic view, covering social, organisational and educational aspects. Capacity Assessment or diagnosis is an essential basis for the formulation of coherent strategies for capacity development. This is a structured and analytical process whereby the various dimensions of capacity are assessed within a broader systems context, as well as being evaluated for specific entities and individuals within the system. Capacity assessment may be carried out in relation to donor projects e.g. in land administration, or it may be carried out as an in-country activity of self-assessment. Capacity Development is a concept that is broader than HRD since it includes an emphasis on the overall system, environment and context within which individuals, organisations and societies operate and interact. Even if the focus of concern is on a specific capacity with an organization to perform a particular function, there must nevertheless always be a consideration of the overall policy environment and the coherence of specific actions with macro-level conditions. Capacity development does not, of course, imply that there is no capacity in existence; it also includes retaining and strengthening existing capacities of people and organisations to perform their tasks. The more complete definition offered by the UNDP and also the OECD for capacity development is “… the process by which individuals, groups, organisations, institutions and societies increase their abilities to: perform core functions, solve problems, and define and achieve objectives; to understand and deal with their development needs in a broader context and in a sustainable manner.” This definition is generally accepted and adopted by various donors. It is generally understood that security of land tenure, efficiency of land markets, and effectiveness of land use controls as essential parts of land management are crucial components in any land policy. These activities rely on some form of land administration infrastructure that permits the complex range of rights, restrictions and responsibilities in land to be identified, mapped and managed as a basis for policy implementation. In this context there is a whole range of capacity building and HRD principles and options to be considered. Improvement of urban-rural interrelationships implies adoption of long-term strategic actions. This includes: formulation of political objectives; adoption of relevant land development policies and policy instruments for implementation; establishment of the legal framework for dealing with land development issues in general and especially the urban-rural divide; establishment of an adequate institutional infrastructure where the tasks and responsibilities are clearly defined and based on a decentralised approach; development of the necessary human resources and skills for dealing with these issues in national and local government and in society in general; and finally, development of professional bodies such as a national institution of surveyors being responsible for the development and control of professional standards and ethics, enhancement of professional competence, and interaction with governmental agencies to develop the optimal conditions and services. The organisational level, which includes the institutional infrastructures, good governance, spatial data infrastructures, ITC, and professional institutions. Adoption of a comprehensive policy on land development is crucial since this will drive the legislative reform which in turn results in institutional reform and finally implementation with all its technical and human resource requirements. However, capacity building is not a linear process. Whatever the entry point is and whatever the issue currently in focus is, there may be a need to zoom in or out in order to look at the conditions and consequences at the upper or lower level(s). Capacity building should be seen as a comprehensive methodology aimed at providing a sustainable outcome through assessing and addressing a whole range of relevant issues and their interrelationships. Where a donor project is established to create land administration infrastructures in developing or transition countries, it is critical that the aspect of land use control is included with a holistic approach without separating the urban and rural land use problems. It is also crucial that the issue of capacity building is included as a mainstream component that is addressed up front, not as an add-on. In fact, such projects should be dealt with as capacity building projects in themselves. While attention should still be given to the project, the key focus should be on building the capacity to meet medium and long-term needs for dealing with the problems of land administration and development including the urban-rural interrelations. A good overall approach is to look at the four steps that constitute good strategic management: where are we now; where do we want to be; how do we get there; and how do we stay there. This approach is in line with the broad capacity building concept which aims to assess, develop and sustain. Establish a strategic approach to donor projects and ensure that capacity building measures are addressed up front – not as an add-on. Develop in-country self assessment procedures to identify the capacity needs with regard to urban-rural interrelations, and argue for the necessary measures of capacity development in terms of policies, legal framework, institutional infrastructures, and human resources and skills. Promote the creation and adoption of a comprehensive policy on land development and establish a holistic approach to land management that combines ‘town and country planning’ and ‘policies creation and definition’ into one professional area. Advocate the need for a decentralised approach to spatial planning that recognises the local needs. The argument is that whatever outcome may emerge from a decentralised system of decision-making it must be assumed to be the right decision in relation to local needs. The purpose of a decentralised approach should be to solve the tasks at the lowest possible level so as to combine responsibility for decision making with accountability for financial and environmental consequences. Establish a clear split of duties and responsibilities between national and local government (decentralisation). Ensure that the principles of good governance apply when dealing with rights, regulations and responsibilities with regard to land resources and land development. Promote the understanding of land management as highly interdisciplinary that includes a whole range of policy measures such as social, economic, environmental, judicial, and organisational. Promote the need for an interdisciplinary approach to ‘surveying education’ that combines both technical and social science and links the areas of measurement science and land management through a strong emphasis on spatial information management. Establish strong professional bodies such as a national institution of surveyors who are responsible for the development and control of professional standards and ethics, enhancement of professional competence, and interaction with governmental agencies to develop the optimal conditions and services. Promote the need for continuing professional development (CPD) to maintain and develop professional skills and promote the interaction between education, research and professional practice. The way forward includes the three steps: assessment, development, and sustainability. Are the policies on land development clearly expressed? Which instruments are in place to regulate human land activities and especially the urban-rural interrelationships? Is the legal framework sufficient and adequate? Is the organisational set-up adequate with clearly defined duties and responsibilities? Are the institutions adequate for managing the urban-rural interrelationships? Are the guiding principles for good management well expressed at all governmental levels? Are the human resources and skills adequate, and is there a policy determining the amount of staff and their required competences? Are the relevant education and training opportunities available? Adoption of a comprehensive land policy addressing the issue of the urban-rural divide. Create appropriate opportunities for dialogue between representatives and institutions of both urban and rural areas, for example, forums, round tables or joint workshops. Design of a legal framework relevant for addressing the urban-rural interrelations. Implementation of a suitable organisational framework with clearly expressed duties and responsibilities in spatial planning and especially the urban-rural interrelationships. Adoption of clear guiding principles for good governance. Adoption of policies determining the amount of staff and their required expertise. Establishment of adequate and sufficient educational options at all levels. Instigation of a self-monitoring culture in which all parties, national and local government, NGOs, professionals and citizens, review and discuss progress and suggest any appropriate changes. Lessons learnt need to be fed back into the process for continuous improvement. The international Federation of Surveyors (FIG) and the partners of the Marrakech Declaration recognise the urban-rural divide in different areas of the world and believes that a commitment to address this issue is essential for acceptable human living conditions throughout the world. The urban-rural interrelationship for sustainable developments is a central theme of the world-wide idea of good urban-rural governance. Land administration infrastructures for control of land tenure, land value and land use. These organisations and their member associations and individual members can be enablers, that is, they can act as community developers, organisers or consultants alongside community based organisations (CBOs). They can be mediators between people and the authorities that control access to resources, goods and services. They can be advisers to governmental institutions on policy changes to increase local access to resources and to provide greater freedom to use them in locally-determined ways that includes urban-rural linkages. Magel, H. (2003): Urban-Rural Interrelationship for Sustainable Development. Keynote Speech. 2nd FIG Regional Conference, Marrakech, Morocco, 9 p.
Magel, H. (2004): Breathing the Olympic Spirit – The Mission of FIG in the 21st Century. Opening speech at the FIG Working Week 2004 in Athens, Greece, 23 May 2004. 7 p.
Okpala, D. (2003): Promoting the Positive Rural-Urban Linkages Approach to Sustainable Development and Employment Creation: The Role of UN-HABITAT Keynote Presentation at the 2nd FIG Regional Conference, Marrakech, Morocco. 5 p.
RICS. Dale, P.; Mahoney, R.; and McLaren, R. (2002): Land Markets and the Modern Economy; RICS Leading Edge Series. ISBN 1842191055. Rural 21 Potsdam 2000: Tagungsband/Conference volume rural 21 .Herausgeber: Bundesministerium für Verbraucherschutz, Ernährung und Landwirtschaft, Bonn, April 2001. UNDP (1998): Capacity Assessment and Development. Technical Advisory Paper No.3. UN/FIG (2002): The Nairobi Statement on Spatial Information for Sustainable Development. FIG Publication Series, No 30. ISBN 87-90907-19-1. UN/FIG (1999): The Bathurst Declaration on Land Administration for Sustainable Development. FIG Publication Series, No 21. ISBN 87-90907-01-9. UN-HABITAT/FIG (2002): Land Information Management for Sustainable Development of Cities. FIG Publication Series, No 31. ISBN 87-90907-21-3. UN-HABITAT (1999): Informal Settlement Upgrading: The demand for Capacity Building in Six Pilot Cities. Nairobi. ISBN 92-1-131426-7. UN-HABITAT (2003): Handbook on Best Practices, Security of Tenure and Access to Land. Nairobi. ISBN 92-1-131446-1. Urban 21. Global Conference on the Urban Future. Conference Proceedings. Berlin 4–6 July 2000. Wold Bank, Klaus Deininger (2003): Land Policies for Growth and Poverty Reduction. Oxford University Press and The World Bank. Washington. ISBN 0-8213-5071-4.